2.Electrical Tube Expansion System : For Heat Exchangers & Boiler Tube Expansion. 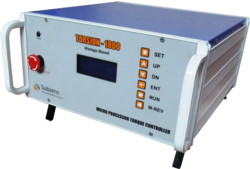 We are offering Wattage based Microprocessor controlled Torque Control unit/ Torque Controller for Tube Expansion of Heat Exchanger Tubes. It is designed to provide accurate wattage/torque to Subzero tube expansion drives for fast and uniform expansion. 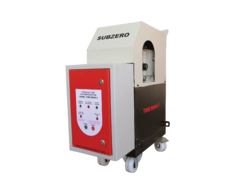 Tube Rider a hydraulically driven unit which offers an automatic expansion of Boiler tubes to come over the limitation of conventional tube expansion method thereby offering attractive saving in labour time & money. Smaller: Because of its drastically reduced weight and size the drive head can be manoeuvred easily inside confined space of boiler drum. Jobs are completed faster with far less manual labour & operator fatigue. 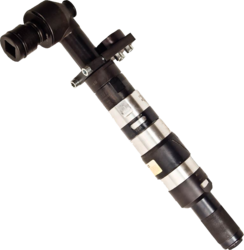 Safer: Drive head is completely hydraulically controlled so work can be carried out in damp condition with maximum safety.The low voltage required at drive head for switch function ( 24 VDC ) create no danger in steam and water drum tube rolling. Light weight is a hydraulic drive is another safety factor reducing mishandling by a tired operator. Smoother: unlike the other type of tube rolling methods, rolling speed of hydraulic drive remain constant even under heavy torque. Tube Capacity 1.1/2" - 4 "
Chuck Size 1/2", 3/4" & 1"
We offer Pneumatic Tube Expansion System to the clients. No Electric / Fire Hazard. Torque Controlled to Ensure Repeat ability. Subzero offer German make Tube Expansion Drive to use with Torque Control panels. Looking for Tube Expansion Systems ?